We know that going to the dentist isn’t high up on the list of favorite places for most people. We really do try our hardest to make every dental visit relaxing, light-hearted and as enjoyable as possible. We provide treatment for your family beginning at age 3. Our goal, with every patient, especially with young children, is to NEVER give them a reason not to like us. We want you to be as comfortable as possible, and that is our primary concern. We are in a new era of dentistry. 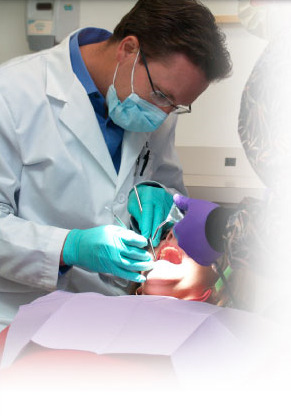 Cosmetic options have become an integral part of dental practice. Not only can you obtain and maintain dental health, but your smile can look great as well. If you have concerns about your smile, Dr. Ewert will be happy to inform you of all available options to keep you smiling brightly. There are many treatment options available to you depending on your dental conditions and preferences. After initial examination and necessary x-rays, we meet with you in consultation to explain, in as much detail as possible, what your options are. We also provide a detailed financial analysis of your treatment plan, including insurance estimates. We are not a “mega-practice” and plan on keeping it that way. Our office has fewer employees intentionally, but they are very good at what they do. Bigger isn’t always better. We believe in personal relaxed, intentional time with our patients. We reserve a time for YOU, but work efficiently to complete your care in a timely manner, as we know your schedule depends on it. We strive to provide the best dental care available to you anywhere.